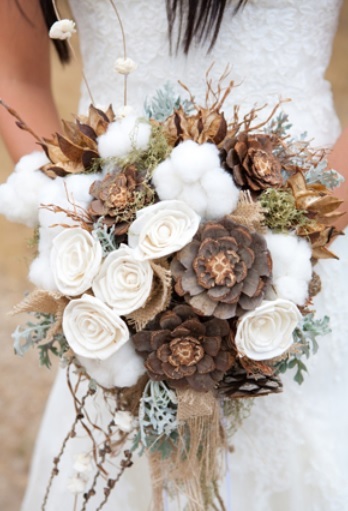 The winter months are the 2nd most popular season for weddings! Aside from May and June, this is the perfect time for family and friends to come together and celebrate new unions. And what a beautiful picture it makes, if you're lucky enough to have fluffy whiteness in the backdrop for a photo shoot! 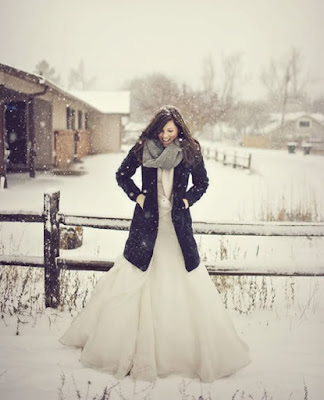 I love the photo below because the bride is in white, but she isn't afraid to stay warm, despite being photographed.The look is fitting, warm, and savvy! Staying warm in the winter is, and should be, a top priority. 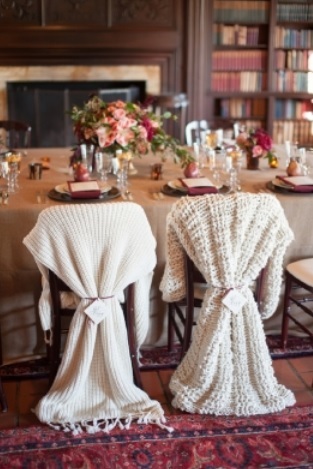 Make sure to include a warm wrap of choice to go over the wedding and bridesmaids dresses! Jackets, shawls, and sweaters can all be very pretty! 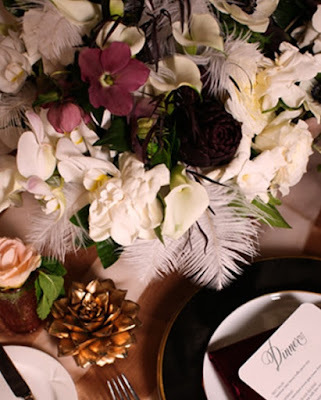 You'll want to differentiate from the normal summer colors and floral arrangements. Fall has just receded and some of the rich browns, oranges, reds, and golds are still in our memories. 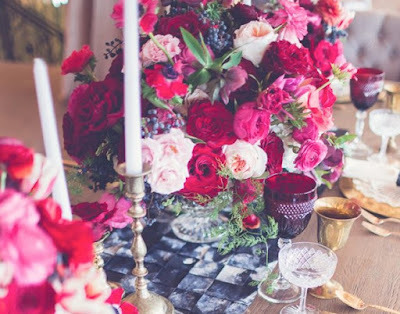 Do include more warm browns, reds, berries, and golds in the thought process for winter wedding decor. 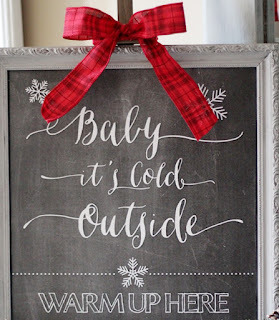 Remember that warm and inviting is the perfect backdrop to the cool and stark white of winter. 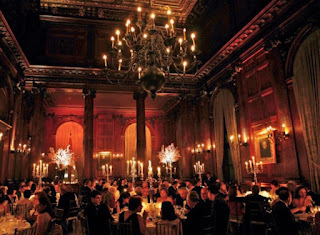 It can be a most beautiful and romantic ambiance. Evening weddings are also very popular because they contribute to the warm and inviting atmosphere of being inside when it is cold outside! The photo below shows how large halls can be lit with low lights and the colors absorb the warmth and make it a very comfortable atmosphere to be in. 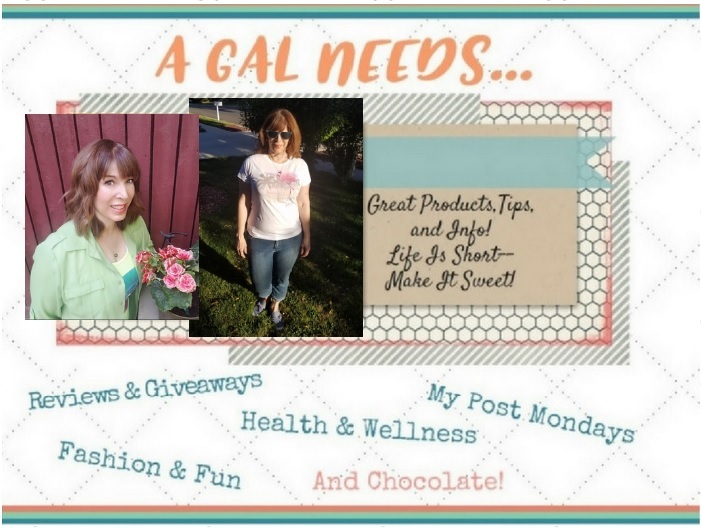 Having some cute added features like a hot chocolate bar or drink bar with cute captions celebrate the season and make drinking hot chocolate seem like a well-deserved treat! In summer, it's all about light eating and drinking. In the winter, foods can be more comforting and substantial.